He Wouldn’t Sit Still (209/365 year 3) – Annoyingly Boring? 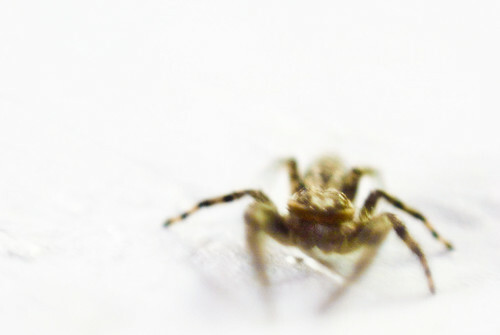 This spider, yes it’s a spider, had been sitting on the ceiling in our living room for days. I decided I’d try to get up close and personal with him one day and the results were, shall we say… crappy. Thats actually pretty cool, makes him seem less… creepy!!! That spider’s been in your house for days! Why won’t Meredith go ahead and kill it for you?